My friend, Cookie, reminded me in September to order sweet potatoes from the West Feliciana 4H Club in St. Francisville, Louisiana. Having missed out on purchasing Louisiana Yams last year, I had asked to be informed. I sent my check and was given and call last week to come and pick them up. Having no idea where to go, I asked for directions. When the kind lady started telling me to turn down the gravel road and follow the signs, I knew I wasn't taking the Blue Cloud to pick up my order. I enlisted my husband and his trusty Tundra to go on the errand with me. 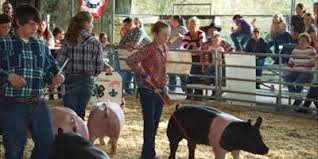 If you have never been to the 4H facility in St. Francisville, it would be worth a trip just to see the wonderful place for kids to participate in some healthy recreation and education. I didn't know it but was told that the 4H members sell yams (as they are called if grown in Louisiana) every year, just as scouts sell cookies. They even have a competition to see who can sell the most. The proceeds of the sale go to fund 4H projects and camps during the year. This snapshot of the 4H barn shows a livestock show in progress. On the day we visited, the barn was packed with boxes of yams. Cars and trucks were lined up to pick up their orders. For those who are not familiar with Louisiana, yams are a big deal. There is even an organization for the promotion of the product. It's the Louisiana Sweet Potato Commission and the spokesperson is Holly Clegg. Holly is a chef and cookbook author as well. 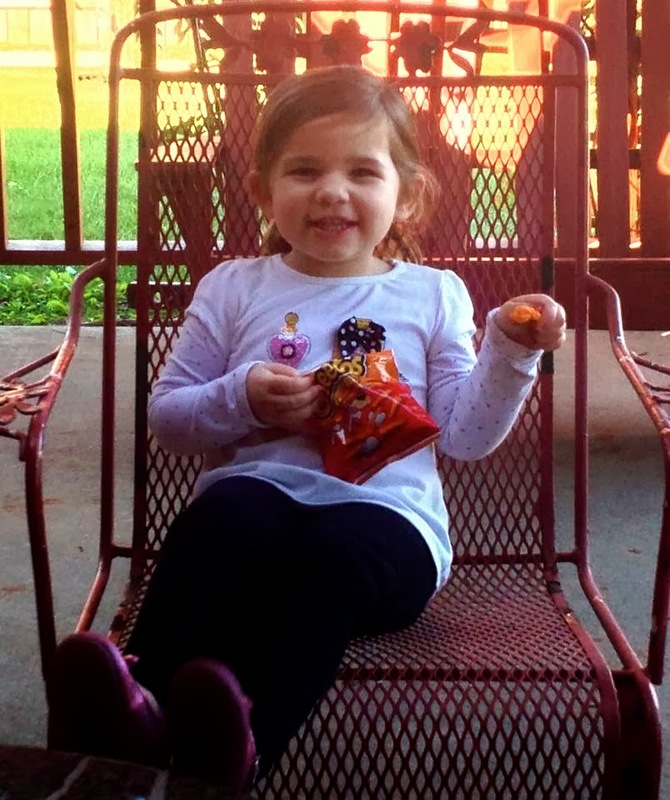 She promotes eating sweet potatoes as part of a healthy diet. The LSU Ag Center is responsible for the research over the years to develop this truly unique product. 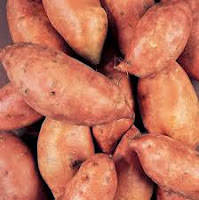 According to an Ag Center publication, "sweet potatoes are a good source of dietary fiber, vitamin B6, potassium and vitamin C when baked in the skin. They are low in sodium, fat and saturated fat. 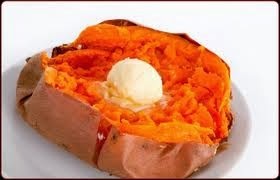 One medium-size baked sweet potato has only 103 calories." There a hundreds of recipes for sweet potatoes and Yams but I have collected a few really easy ones to share with you. None of my recipes involve marshmallows, even though the addition of those is popularly associated with yam cookery. Those you don't cook can be stored in a cool dry place for several months. The recommended storage temperature is between 55 and 65 degrees F. They can also be baked in their skins, wrapped individually in plastic wrap and frozen with good results. If you don't live in Louisiana, you can substitute sweet potatoes grown in other parts of the country and yearn for the real thing! Preheat the oven to 350 degrees. Line a cookie sheet with foil. Using a vegetable brush, clean the yams, leaving the skins on. Pierce each one once with a fork. Rub each yam with olive oil and sprinkle with a dash of sea salt. Bake on cookie sheet for about an hour. 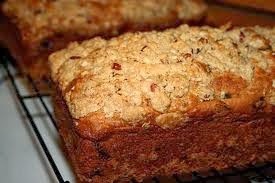 Split open and garnish with butter and/or cinnamon. It's is adapted from one I saw on WAFB television prepared by Chef John Folse. The recipe in it's entirety can be found on WAFB.com, but this is a short version. Choose 8 yams of similar size. Peel yams and place in a large pot with enough water to cover the yams. Bring to a rolling boil, reduce to simmer and cover. Cook until yams are fork-tender. There should be no more than ½-inch of water remaining in the bottom of the pot. Stir in butter, sugar, vanilla, cloves and nutmeg then continue to simmer until sugar is dissolved and a simple syrup is achieved. Simmer over low heat until yams have absorbed most of the simple syrup but are not falling apart. Serve one yam per guest with an equal serving of the simple syrup. 2. Stir together flour, spices, sugar, eggs, oil and milk. Blend well. 3. Stir in yams, pecans and raisins. 6. Cool about 15 minutes in pan before removing to serving plate. Note: Cookie advised me it wouldn't last long. I didn't even get a good picture so had to snag one of a similar recipe from the internet. My sous chef is really growing. 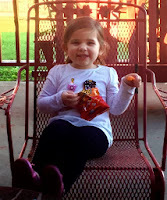 Here is a recent picture of her enjoying her Cheetos on the patio. She has her feet propped up just like her Granny Dot! Thanks for a wonderful article Dot. I did not know about the sweet potato commission in St. Francisville. And I am certainly looking forward to trying the sweet potato recipes. A sweet that is actually good for you! Thanks for reading! Enjoy yams this holiday season and year round. I didn't know they are so good for one's health.